Available from stock, wide range of sizes. 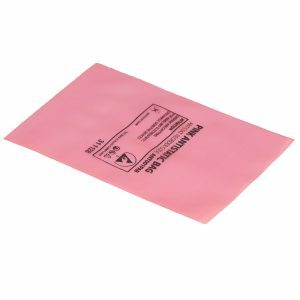 Our puncture-resistant Moisture Barrier Bags – 6mil protect sensitive equipment and products from both electrostatic discharge damage (ESD) and moisture damage during shipping and storage. Suitable for vacuum-sealing, these bags offer maximum resistance to vapour and oxygen. In addition, the opaque and light-tight material ensures that the contents cannot be seen from outside, offering additional security. 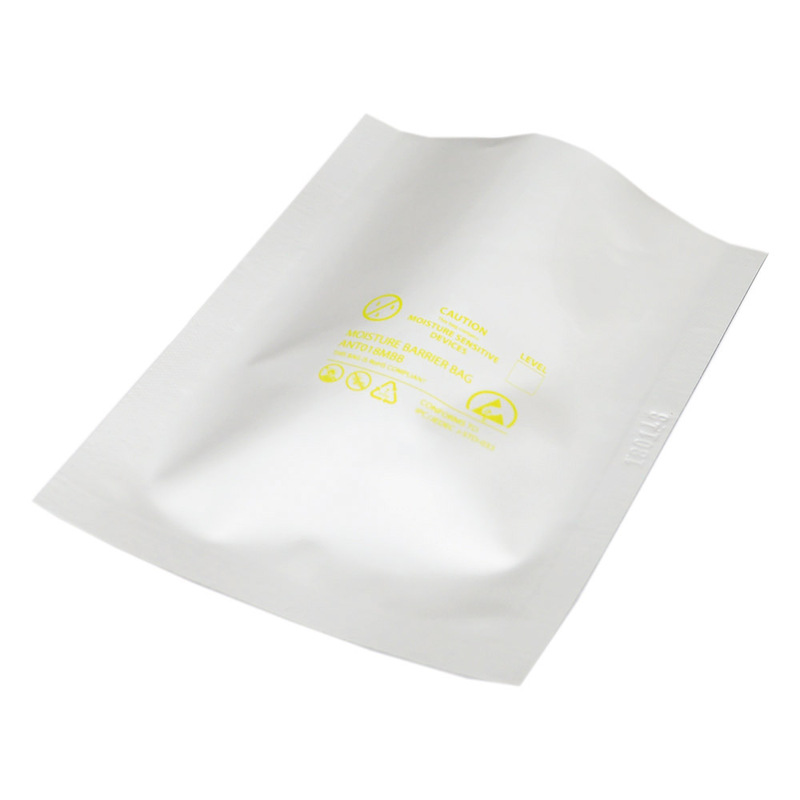 Our high-quality Moisture Barrier Bags 4.4Mil protect sensitive equipment and products from both electrostatic discharge damage (ESD) and moisture damage during shipping and storage. The puncture-resistant, opaque and light-tight 4.4mil material ensures that the contents cannot be seen, offering additional operational security. Suitable for vacuum-sealing, these bags offer maximum resistance to vapour and oxygen. 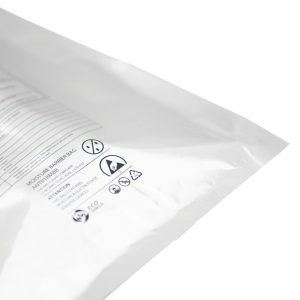 Manufactured from carbon loaded LDPE, our Black Conductive Bags featuring the industry standard antistatic logo provide a traditional method of packaging electronic devices. These high-quality, light-tight bags avoid accumulation of electric charge on the bag and its contents, and the black material also ensures contents are shielded from view for additional security. Available to buy from stock in a range of industry standard sizes. 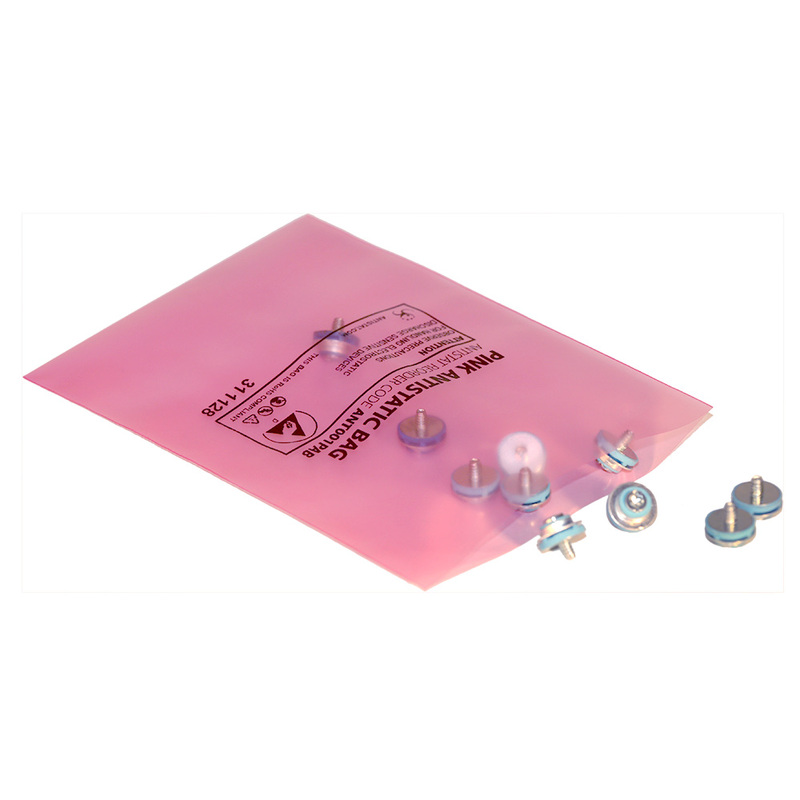 These Open Top Static Shielding Bags are perfect for protecting sensitive electronic products and equipment from electrostatic discharge (ESD) during storage and shipping. The four-layer construction guards against charges inside and outside the bag, while being semi-transparent for easy content identification. Ideal for safe storage of PCBs, integrated circuits, motherboards, computer components and more. Many standard sizes available from stock, with custom sizes and print available on request. Contact the team today to find out more. 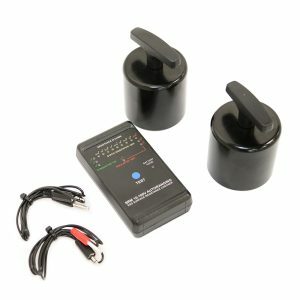 This 9V Wrist Strap Tester is designed to show high/low fail and pass functions, and – as it can also test footwear prior to entering in EPA – it comes with both a wall mount and footplate. CE approved, this product is powered by a 9V battery, and features a low battery indicator light for convenience. Quick and simple ‘one touch’ test function. 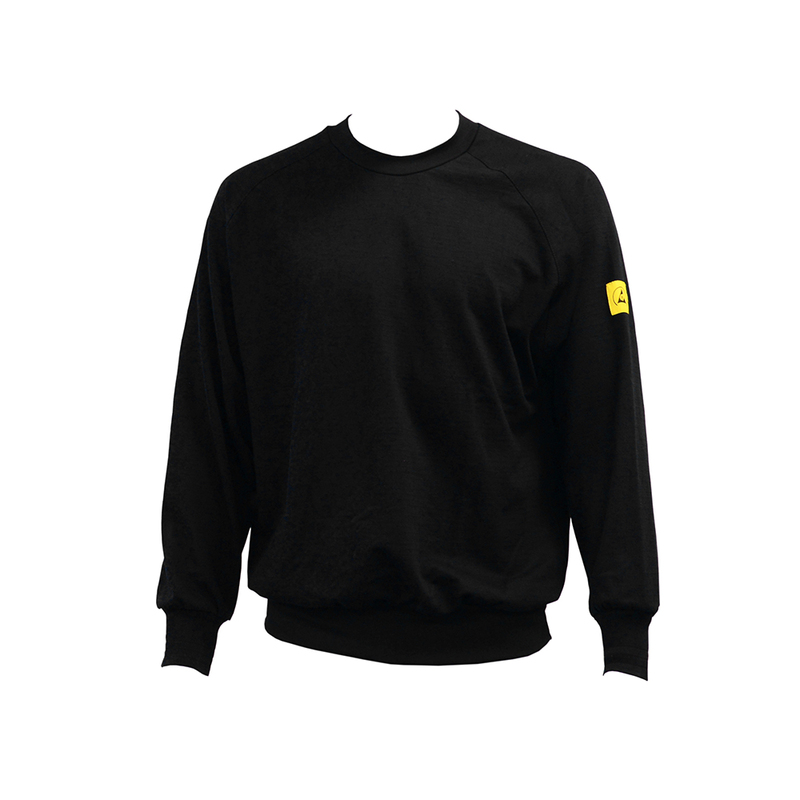 Static dissipative long sleeved sweatshirt featuring the ESD symbol on the arm and ESD cuffs. 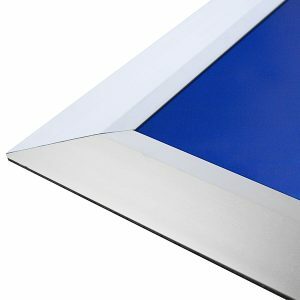 These frames provide a uniform, effective base for adhering tack mats securely, while permitting easy removal of the last sheet. They also enhance the appearance of mats. Frames are held in place by a non-skid base. 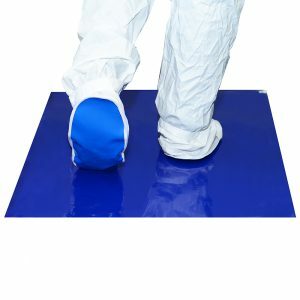 Our Tacky Mats are multi-layered, low-profile mats made up of 30 easy-peel layers with an adhesive surface. 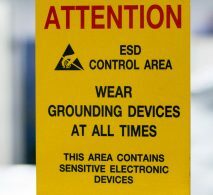 These are essential in clean room areas where particle contamination must be kept to a minimum. 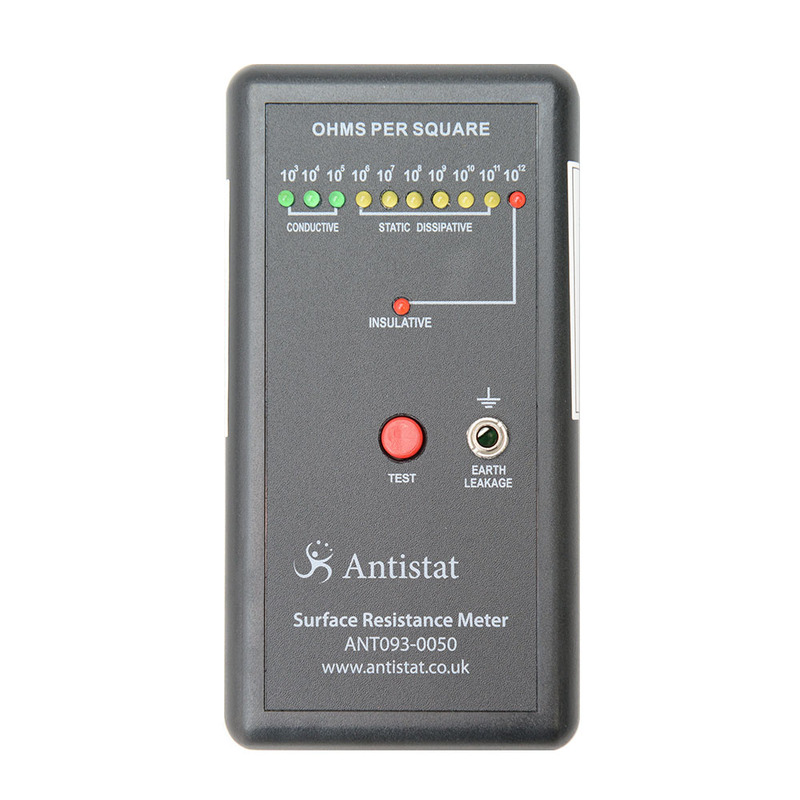 Our 9V Surface Resistance Meter is designed to measure surface resistivity and resistance to ground. The meter will quickly, easily and accurately test conductive, static dissipative and insulative surfaces. 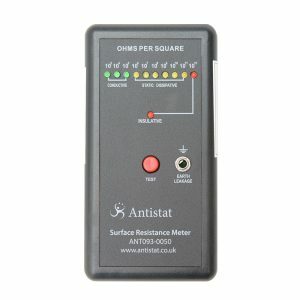 This resistivity meter can be reliably used between 5oC – 49oC, making it suitable for a wide rage of environments. 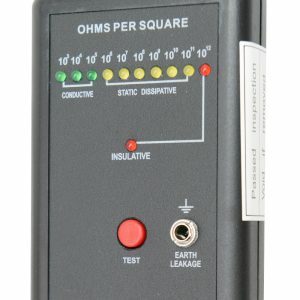 This 10V / 100V surface resistance meter is ideal for accurately testing surface resistivity for ESD control applications to the latest industry standards. It is designed to measure point-to-point, the surface resistivity of plastic, polymers, large sheets of plastic or clothing materials. 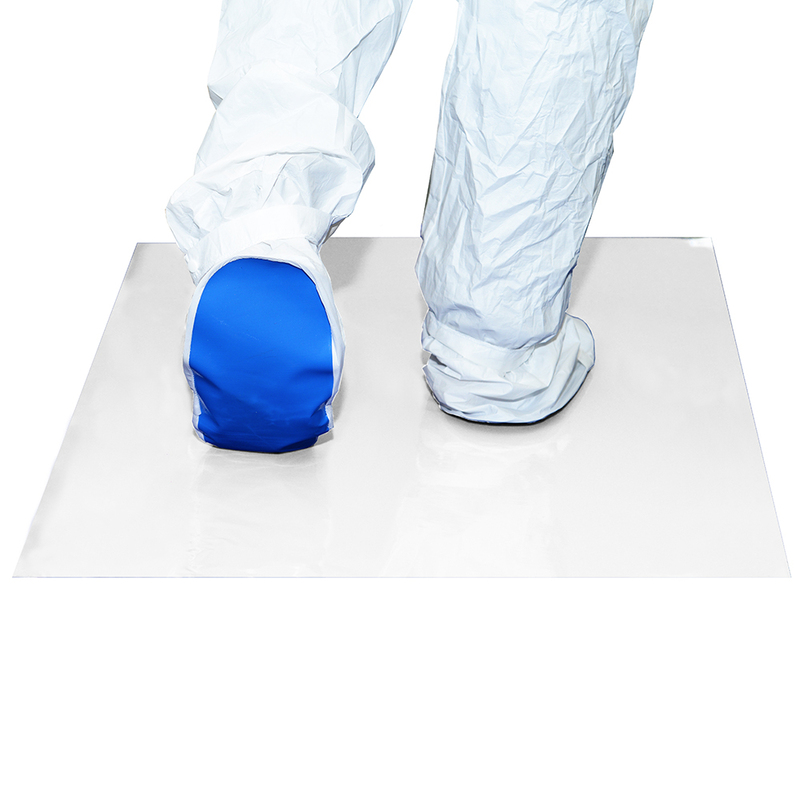 Antistat is Europe’s No.1 supplier of static shielding bags and moisture barrier protection. We offer a full range of anti-fatigue matting, Corstat boxes and cleanroom products. Speak to our friendly team or request a brochure. With expertise in ESD consumables, high-end technology led packaging solutions, Antistat specialises in finding innovative technical solutions, as well as identifying ways to reduce purchasing and supply costs with static control products. Get 10% off your first order by signing up to our email newsletter today! Simply enter your details below to receive a discount code which will get you 10% off your first order over £100.